I've spent the last couple of weeks traveling and have much to share. I love that I've spent the new year traveling to new and vastly different places! Here's a little snippet from my trip. Finally getting around to working on photos from Mexico. Thought I'd start off with this little gem I spotted at the beach. The Del Marcos, one of the best places ever! A snapshot from our room. Spotted this while walking across the Brooklyn Bridge last year. Taken a few backs on a trip to the Sonoma Coast. Bummed to have missed the past three Photo of The Days, but I've been quite busy. Anyway, it's a new week and I'll be sure not to skip out this time. Also be sure to check back in few days for my monthly photo project 3x2! Delicious brunch lies behind those cinderblocks. Ok, so this last one isn't as historical as the others, but it's hand painted nonetheless. And while it's not as ornate as the others either, I love the script type used for Quality, especially the Q. ...even though it feels like I only experienced a glimpse of you. I'm looking forward to visiting again when it's a little warmer. Some keepsakes. 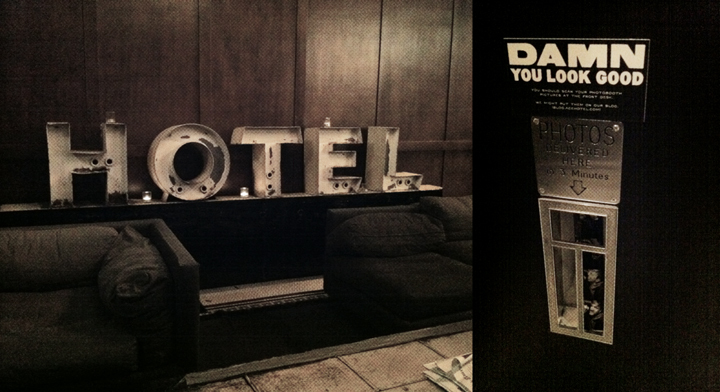 Two snapshots from the Ace's lobby. The Ace, by the way was a pretty fun place to stay. Super friendly service? Cozy lobby and mezzanine? Plus a delicious bar & restaurant and a coffee shop? Aaaand a photo booth? Full win! The focal wall from our hotel room. And a yummy, yummy cappuccino from Courier Coffee. Two coffee photos, I know, but this place deserved a shout out. Haystack Rock aka the rock from the Goonies! 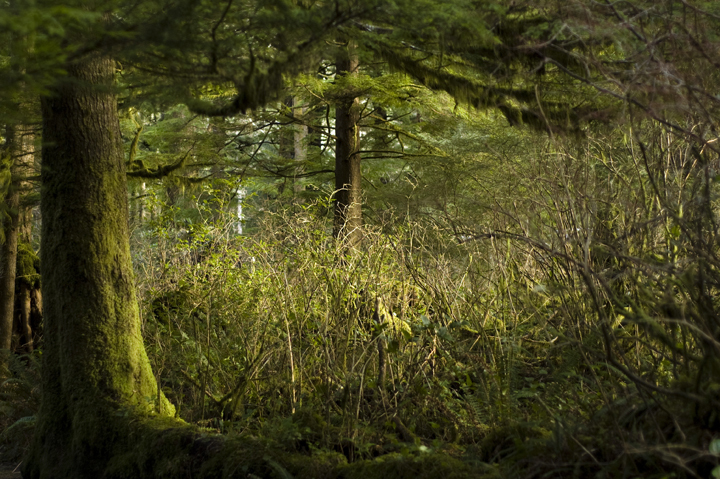 Lush forest of Oswald West State Park. This place was amazing and I really hate to sound like a total cheese ball, but it was almost kind of magical. 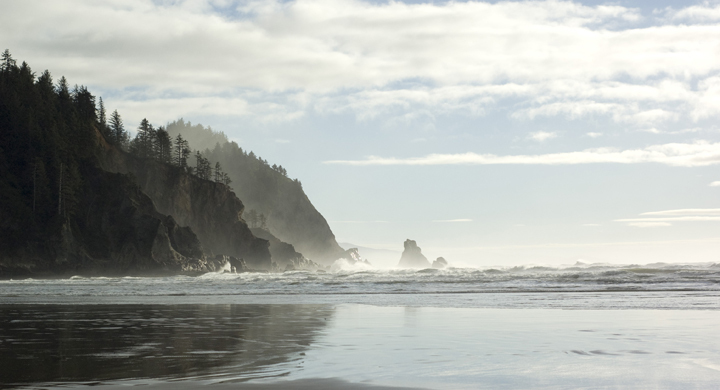 This is one of the most beautiful beaches (on the west coast) I’ve ever been too. Being a native Californian, I’ve been around plenty of beaches up and down California, and naively thought no one had us beat (except for maybe Hawaii). 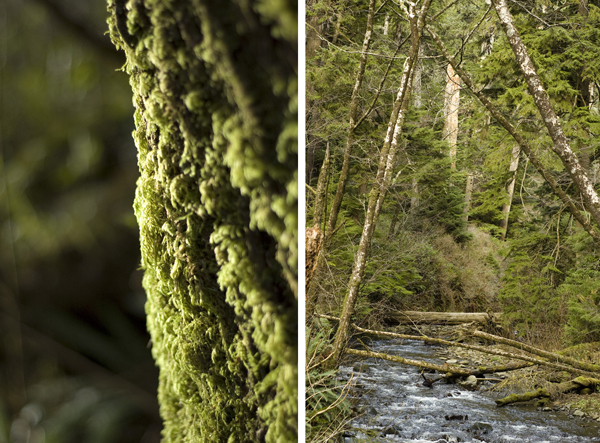 But there’s definitely something kind of awesome about the Pacific Northwest. Maybe we happen to stumble upon this place on a good day. My guy, totally stoked about the Oregon coast. Photos from the road. One of my favorite things about the road trip was watching the various scenery/landscape changes along I-5. From the snowy mountains and misty tree tops to the dry and flat valleys, it was a beautiful (but long) drive. 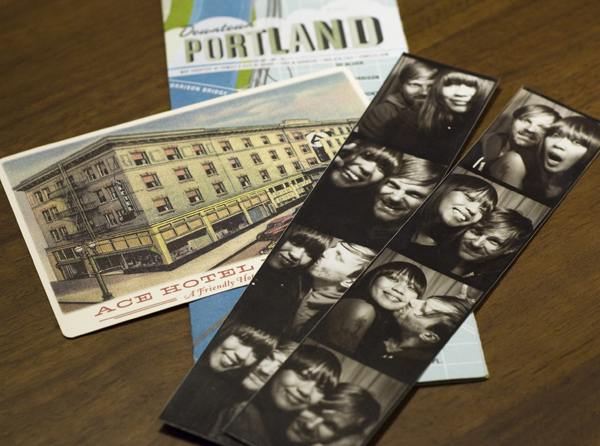 Lobby and photobooth of the Ace Hotel in Portland. Stay tuned for photos from my recent trip. new york. i love you. Well folks, this'll be my last batch of photos from HK. One of my favorite things to look for on my travels is street art. Not so much graffiti murals or blow ups (unless it's in a style that I like) but more of stickers, stencil art and wheat pasted posters. In a city that embodies mass commercialism and wealth, I find it refreshing to discover an ally or wall filled with art that represents the opposite. Here are some of my favorite pieces: These pieces, along with a few others below were done by Start From Zero. This one on the left is done by Graphicairlines. It was awesome to spot their art in other parts of the city. I'm not sure who does the piece on the right, but she was everywhere. When your in the middle of HK city and just need some peace and quite, pay a visit to Kowloon Walled City Park or the Hong Kong Zoological and Botanical Gardens. Both of which were my absolute favorite places in HK. If you visit HK and have the time, you've got to get out of the city and visit one of the outlying islands and maybe even Macau. One island we decided to visit was Cheung Chau, and it was undoubtedly the best part of my trip to HK. If you need to get away from commercialism and towering skyscrapers of the city, visit Cheung Chau! The main modes of transportation on this mellow fishermans village are boats and bikes! How awesome is that? One of the few cars on the island was made out paper mache. In actuality, this piece was part of some kind of memorial service. More lanterns for Chinese New Year. Another place possibly worth visiting is the Old Taipa Village in Macau. Macau was once a Portuguese colony, so there's a lot old architecture that reflects that. Old Taipa Village is like stepping in a completely different part of time and place. It's nothing like Hong Kong at all. I should note that while Old Taipa Village is pretty rad in terms of seeing older architecture, most of Macau is like the Las Vegas of China. In the midst of casinos, there lies some history and quirkiness. We stumbled upon a park with these cool arrow stepping stones and a free fitness area. Who needs a gym, when you have the park? 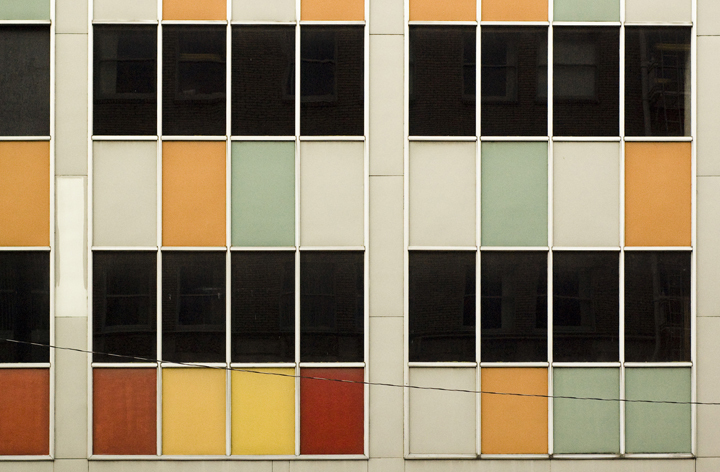 A snap shot of one of the more colorful buildings in the area. A lucky cup of coffee anyone? If you wanna see more shots, you know where to go. Hey gang, sorry for the lack of postings this past month. I spent the past month working on my portfolio, projects around the apartment and looking for work. I'm happy to say that I'm currently freelancing at a local design firm doing production work. So that's pretty rad right? Anyway, here are more photos from my trip to Hong Kong:Delivery Bike Perhaps it was due to the weather or the fact that HK city isn't exactly the most bike friendly city, but it was a rarity to see people riding bikes for commuting or for leisure. Most of the bikes I saw were definitely for delivering. Multi Functionional I saw this bike in the middle of Wan Chai market in front of a meat stand. When it's not being used to take (I'm assuming) meats or other food items, it's used as a drying rack. I love the fact that many of these bikes have laundry baskets or grocery baskets as their carrying case. Cultural Revolution Propaganda Awesome vintage propaganda posters in the Cats Street Market in Sheung Wan. Cats Street Market A snap shot of shoppers and curious travelers in the market. This was my favorite market out of all the markets we wondered through in HK. Unlike the other markets that tended to sell cheap crap (cheap quality clothes, electronics and whatnots), Cat Street market had more interesting antiques and "junk" to pick through. Though, I must admit it was a little hard to figure out whether some of the items were legitimately vintage or reproductions. Nonetheless, it was still more intriguing than the others. Remains You seriously don't know what your going to find during your travels. This plate of turtle shells tops my list of interesting and unusual finds. Vintage HK The only vintage clothing we could find. Cool stuff, but a little pricy– just like any other hip vintage shop. Lights, Lights, Lights and Signs HK is definitely full of life and color at night. Officina Slowear Loved the quirky design of this building and the stencil type. If you want to see more, you know where to go. Signs seen off the Mid-Levels escalator. Rainy day (it rained a lot while we were there). This was in the Mid Levels. Old European style architecture in the midst of modern Hong Kong. See more here.